Now a day many of the women are involved in diving. Some of them love to dive and some are professionals. This Citizen Diver Watch is designed considering all the needs while diving by the women. With this watch you can dive up to 300 meters deep inside the Water. The case of this watch is made up of Stainless Steel and has a One-way rotating elapsed-time bezel. This bezel is used to know the elapsed time by the diver. The rotating bezel can be rotated for setting the initial time. The Rubber Band in diver is always preferred due to its adjustability over the diving suit. The glass over the dial is made up of Scratch-resistant mineral crystal. 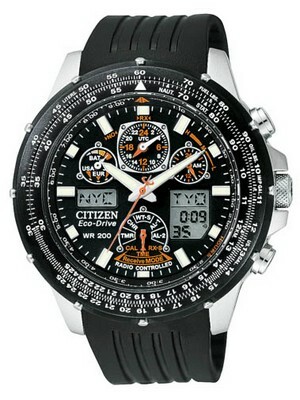 I love this Citizen Ecodrive Watch because it is eco-friendly and really beautiful. Citizen Watches did an amazing job on this line of ecodrive watches. This watch is light-powered and run for a lifetime on stored energy from any light source. You never need to worry about battery changing. The Power reserve of this ecodrive is about 180-day. For the better visibility the watch is designed with Black Dial and Luminous hands and hour markers. You can also note the date on the window present at 3 o’clock position. The dimensions of this watch are absolutely as per women’s requirements. The case diameter of this watch is approximately 31mm and its approximate thickness is 11mm. 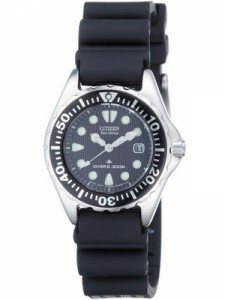 Overall this Citizen Diver is a better option for ladies diver. This watch is available for US $185.00 with us. Aching to make others notice what’s on your wrist? Newsletter : CYBER MONDAY Sales NOW LIVE!